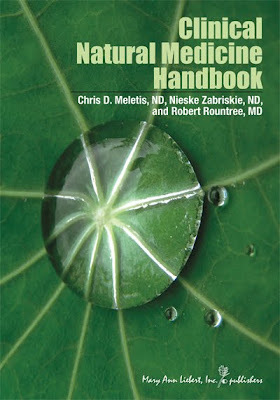 Timely, authoritative and incredibly comprehensive, the new Clinical Natural Medicine Handbook was designed to help practicing clinicians understand and apply the latest advances in integrative medicine. With a unique combination of guidelines, protocols, and practice-oriented literature review, it provides virtually everything you ll need to optimize your clinical use of nutrition, nutraceuticals, and botanicals. At the heart of the Handbook are nearly three dozen disease- or condition-specific chapters featuring in-depth information and insight on natural, nutritional, and botanical approaches to treatment and management. From asthma, to diabetes, to cardiovascular disease and depression, the Handbook focuses on the diseases and conditions that today s practitioners are most likely to encounter, and provides a wealth of clinical insight based on the very latest medical and scientific literature: Detailed diagnostic information including prevalence, pathophysiology, risk factors, symptoms, and associated conditions. Integrative treatment guidelines and protocols comprising conventional approaches (medical and surgical), nutraceuticals, botanicals, lifestyle modifications, and other naturopathic approaches. * Specific prescribing and dosage recommendations featuring nutrient-drug interactions, hormone and food allergy considerations and possible affects on laboratory test results. Quick-reference charts to speed diagnostics and prescribing. Clinical Natural Medicine Handbook is the integrative clinician s one-stop guide to diagnosing, treating and prescribing for dozens of diseases and conditions.